The beginnings of Christian existence in the Holy Land can be traced back to the New Testament books. The religious and political events of the nineteenth century have placed the final touches on the shape of this existence in Jordan and Palestine. The mosaic of Churches in the Holy Land was completed during the lifetime of the Church, which is now more than twenty centuries. The theme of my study here is evolution of the Christian presence in the Holy Land in the late nineteenth century. At the beginning of the nineteenth century, the election of the Greek Orthodox Patriarch was held in Constantinople, and the Patriarch resided there. The Franciscan Custos of the Holy Land took care of Latin affairs in Palestine. A few Protestant missionaries undertook short tours in the region and distributed copies of the Bible to the faithful. There were a few schools and charitable institutions in the region, and their influence was negligible. The first half of the nineteenth century was purely an extension of the rigid Ottoman era, which began in Palestine in the early sixteenth century. In the mid-nineteenth century, the old Churches became active. The Greek Orthodox Patriarch resided in Jerusalem. The local national Orthodox Arabs tried to retrieve their rights, which they lost throughout the ages. The Latin Patriarchate was re-established. An Anglican Bishopric was founded. The Eastern Catholic Churches -the Uniates- appeared in Palestine through patriarchal vicariates or dioceses. Dozens of monastic orders and foreign Church institutions came to Palestine from various countries and Churches. Moreover, dozens of schools, clinics, hospitals, institutes and monasteries were opened. Most historic studies have dealt with the question of the Holy Places and the political history of Palestine. However, the Christian groups, which lived around these places and shrines, remained in the shadow and were only mentioned casually. 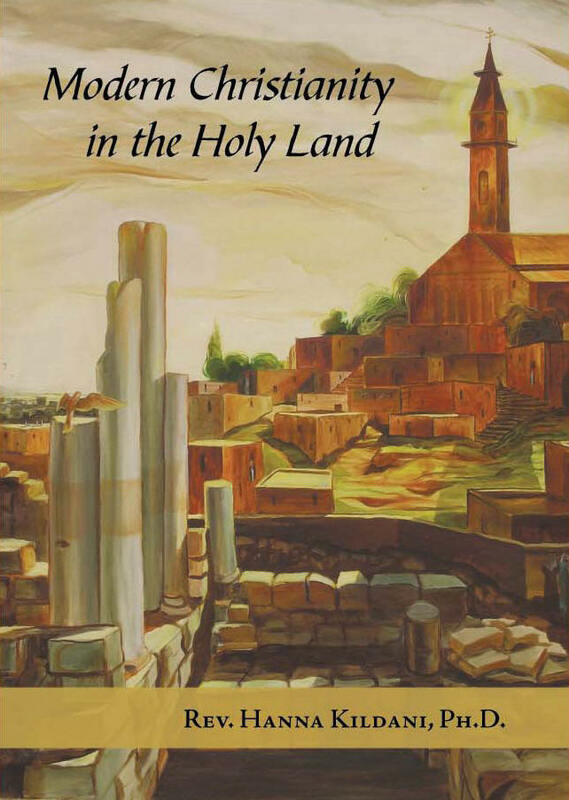 Nonetheless, in some modern studies done on the history of the Churches in Palestine, researchers focused their attention on the study of the history of their own Churches. This was the reason which prompted me to make my thesis for a master’s degree in history from St. Joseph Jesuit University in Beirut in 1983 under the title: “The Re-establishment of the Latin Patriarchate of Jerusalem, 1847-1872”. My thesis was analytical in nature, but my actual study is a comprehensive one. It attempted to cast light on the history of the Churches combined, their progress and structures, the development and the growth of their parishes and institutions, without focusing on the issue of the Holy Places which other authors discussed and studied in detail. To carry out a study on one whole century of the history of several Churches was not an easy task. I have frequently visited libraries in Jordan and Palestine. These included the library of the University of Jordan, the Hebrew University Library, the White Fathers Library, and the libraries of the Franciscans and the Dominicans. They also included the Latin Patriarchate Library, the library of the Latin Seminary, the Anglican Saint George College Library, the library of the Ecumenical Institute for Theological Research-Tantur, and a number of private libraries. I have encountered enormous difficulties in finding access to the sources, references, documents and manuscripts needed for my study, particularly in the archives of the monasteries and patriarchates, all the more so because the subject of my study does not deal with an old history that has perished, but with a modern history whose personalities and events are still echoing until these very days and continue to constitute a controversy among the followers of the Churches that are included in this study. This is what compelled me to interview dozens of specialists to give me their enlightened views and advice, because I sought scientific historical accuracy and objectivity in my investigation of this question. I was encouraged to undertake this research by my desire to present a comprehensive study in an ecumenical spirit of the history of Churches in our Holy Land and by my knowledge of some modern foreign languages such as French, English and Italian, besides Arabic, my native language. However, the fact that I had no knowledge of other languages such as German, Greek and Spanish forestalled expansion in some important sources and references. Nonetheless, I enlisted the help of some friends to translate the necessary versions. Last but not least, I would like to thank Father Dr. Jean-Maurice Fiey O.P. who supervised this study at St. Joseph Jesuit University from 1983 to 1987. I wish to also thank all those who assisted me, each according to his specialization, guidance and advice, particularly His Beatitude Patriarch Michel Sabbah, Father Dr. Pierre Médebielle S.C.J., Sister Anis al-Yacoub, Dr. Adel Ziyadat, Dr. Hanna Haddad, and writer Sulayman al-Mashini.